Azkend [Free / HD] took me by surprise—a gem matching/hidden object game that devoured my hours and my phone’s battery until I’d burned through everything it had to offer. 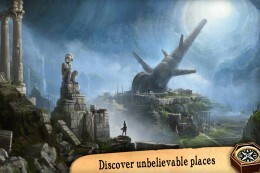 After that, Azkend 2: The World Beneath [$2.99 / Universal] shouldn’t have been much of a surprise, but it was. Trouble is, the surprise wasn’t good. The bones of the game are still there, and it’s prettier than ever with Retina graphics. But where the original sucked me in so hard I forgot to put my phone down until it was done, I keep dropping the sequel in frustration. All the elements are in place. This game, like its predecessor, is split into two parts. The first is a matching puzzle where you chain identical icons together to flip a hex grid board. The second is a hidden-object style puzzle where you match small segments of an image to their positions in a larger landscape. The two intertwine in a sweet and simple adventure story. In Azkend, the matching game was a blast. The chaining mechanics allowed players to set up and execute outrageously long chains, something I found super satisfying. 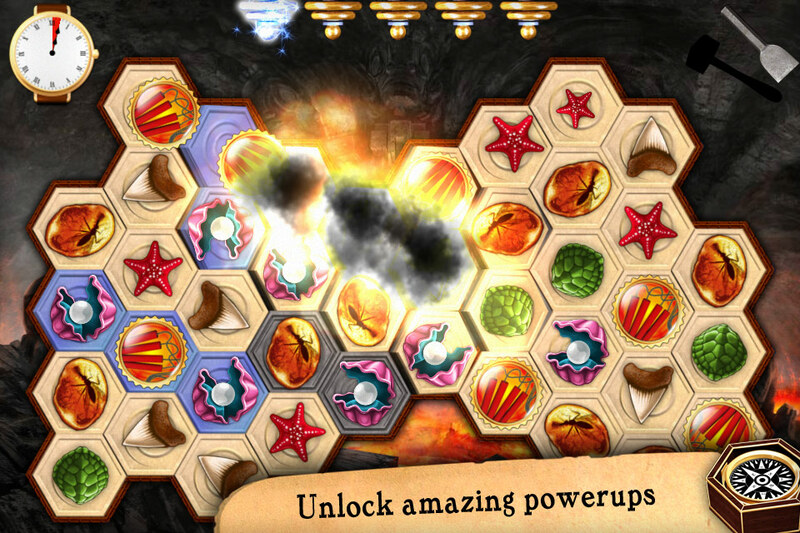 Powerups were unlocked bit by bit and expanded your capabilities like crazy. The powerups made it back into Azkend 2, but the satisfaction is gone. The board layouts are painfully constricted. Long chains aren’t usually possible, no matter how carefully you set them up. In fact, there comes a point when you’re lucky if you can make chains at all. No joke, about a quarter of the way through the game I began to run into levels where the board would shuffle with no moves left, I’d make a single move, and it would shuffle again. This kept happening. At first I thought I’d forgotten how to play effectively, but when there’s only enough room on the board for one or two matches in a row you just have to accept that something’s gone terribly wrong. As a result, most levels are an exercise in tedium. You rarely get to set up great chains or plan ahead to set off tesla coil explosions. You hunt down the single match that’s hiding on the board and pray that when it shuffles you’ll be blessed with a setup that works. There’s simply no room to strategize. This doesn’t mesh well with the new goals that have been scattered throughout the Adventure mode levels. Each of these goals requires you match things in unusual ways. Fog and fire can be cleared by matching adjacent tiles (and fire spreads if you don’t succeed), bugs get hurt by matches and lightning, flowers need to be matched before they lose their petals, and everything is on a tight time limit. That would all be great if there were room for strategy, but instead it just makes survival even more of a struggle. The hidden object sections are lovelier than ever, with pretty, animated vistas, a robust soundtrack and passable voiceovers. And there are other ways to play. The Time Challenge mode is super fun—it’s a race against the clock to clear wide-open boards over and over until the timer runs down. It reminds me of the good old days. You can also play through the game’s levels a second time for timed awards in the Medals Challenge mode. It’s hard to recommend Azkend 2 in its current state. The board layouts are too frustrating, and the game never opens up enough to make the struggle worthwhile. It’s a simple problem in a game that would otherwise be excellent, but it’s also an insidious one. It’s hard to get past levels that just aren’t any fun, you know?